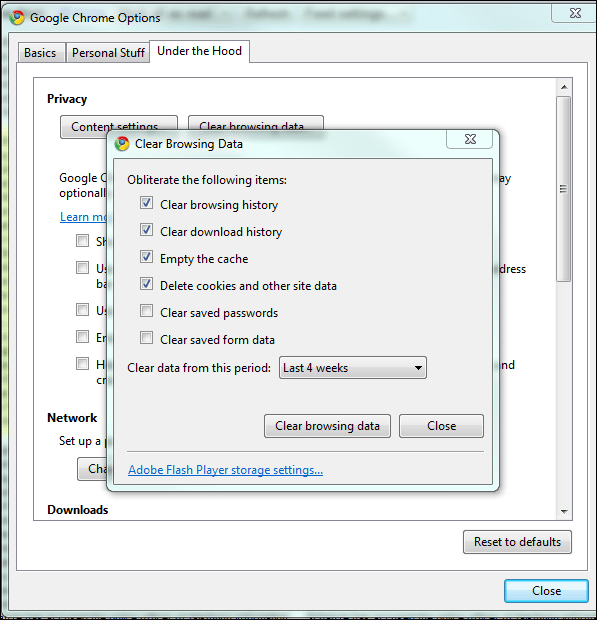 A while back I wrote an article called Flash Cookies: The Silent Privacy Killer, which was one of the first main stream articles to expose Adobe Flash LSO objects as a privacy threat, much like browser Cookies are. The article got a lot of attention from Slashdot and many independent privacy blogging sources and it looks like some of it has paid off! Today I noticed in my latest Alpha Build of Google Chrome (Dev build 5.0.335.1) that the Privacy Settings section now has a direct link to Adobe’s hard-to-find privacy settings, which allows you to clear your LSO’s or Adobe Cookies. To me this is the first step into forcing Adobe to provide an API so that browsers can clear Flash cookies and other Flash cache information directly from the browser. I commend the Google Developers for recognizing the risk of Flash cookies and helping to bring their existence out into the open! Also, still no links or functionality from Internet Explorer, or FireFox. Hopefully they’ll follow the Chromium Project’s lead! This entry was posted in Technology. on March 1, 2010 by I'm a Super .com.